Jewelweed has been used for centuries to relieve and prevent the effects of poison ivy and poison oak. 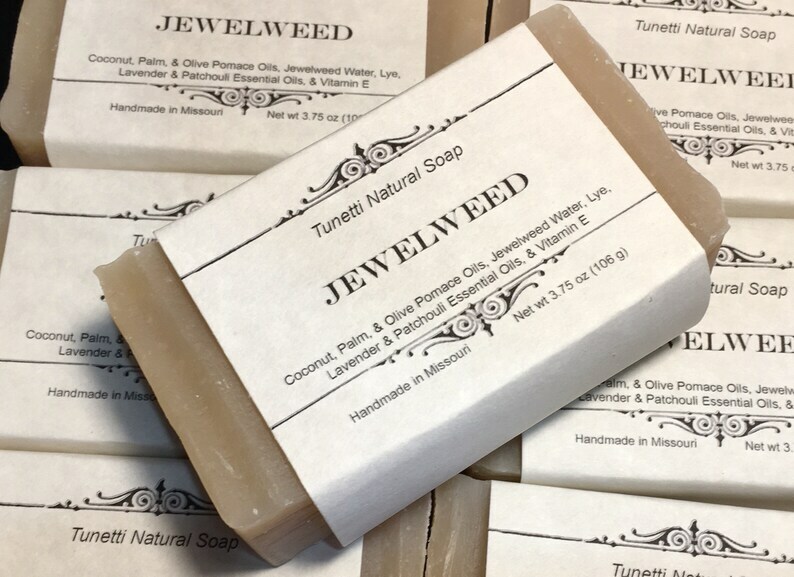 Washing with jewelweed soap soon after being exposed to the plants will wash away the urushoil, the invisible oil on the plants that causes the rash and itch. The added patchouli and lavender essential oils will help soothe and calm the effected areas.